When urban parents, particularly mothers, complain about the public realm, they are often caricatured as whiny and overprotective. Your child was burned by the climbing domes at the new park? Kids are too coddled. You can’t carry your stroller and child down the subway steps? Make him walk. You can’t find a public bathroom? Stay at home. But what if the mothers, in many cases, are right? Access to safe, green open space, to accessible transportation, to clean bathrooms and places to rest are not solely the needs of children. What if catering to our youngest citizens, rather than dismissing them, would help us all live happier, healthier urban lives? An article in The New York Times this summer detailed an initiative, spearheaded by the New York Academy of Medicine and Deputy Mayor for Health & Human Services Linda Gibbs, to make New York more “age-friendly.” Longer walk signals, more public restrooms, minimizing corner puddles, “perches” in stores on which to take a break. All these measures sounded admirable—but they would improve the lives of more than the elderly. The incentive to fix New York for seniors is money: According to the AARP, a third of the nation’s population is over 50, but they control half the discretionary spending. Kids don’t have cash, but their parents and grandparents certainly do, and more families staying in the city would have general economic and social benefits. Right. 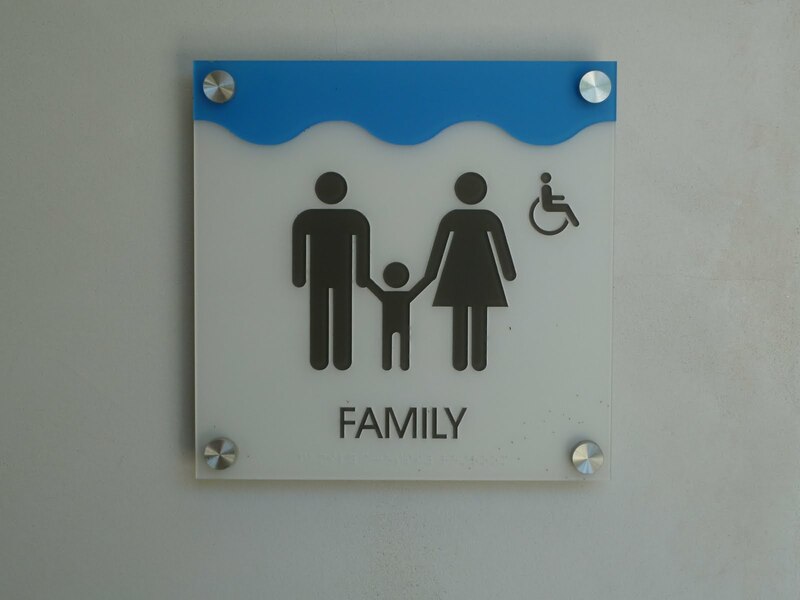 And how about these “family” bathrooms, now too rare, mostly limited to airports and museums and the like? Their extra size accommodates families—and if you’re a city parent of young children, you know their value. But they also create access for anyone using equipment or needing assistance to get around, or hauling luggage or heavy gear. Seniors and juniors aren’t the only groups whose interests align, but are balkanized in their advocacy. Children could lead cyclists, developers, school officials, and health nuts to their more perfect city, if only we would listen. Balkanization is what plagues advocates for disability rights, too. A bit more imagination about the multi-user possibilities in new design could reveal the shared benefits of accommodation for so many more people. It’s tricky, though. Linda Layne, co-editor of Feminist Technology, writes that feminists have been reluctant to side with disability rights groups for better built environments, in part, because of women’s hard-won historical fight to resist the idea of reproductive capacity as inherently disabling. But this objection, as Layne writes in this blog post, misses a deeper examination about cultural notions of disability as well. Both groups need accommodations not for medicalized reasons. 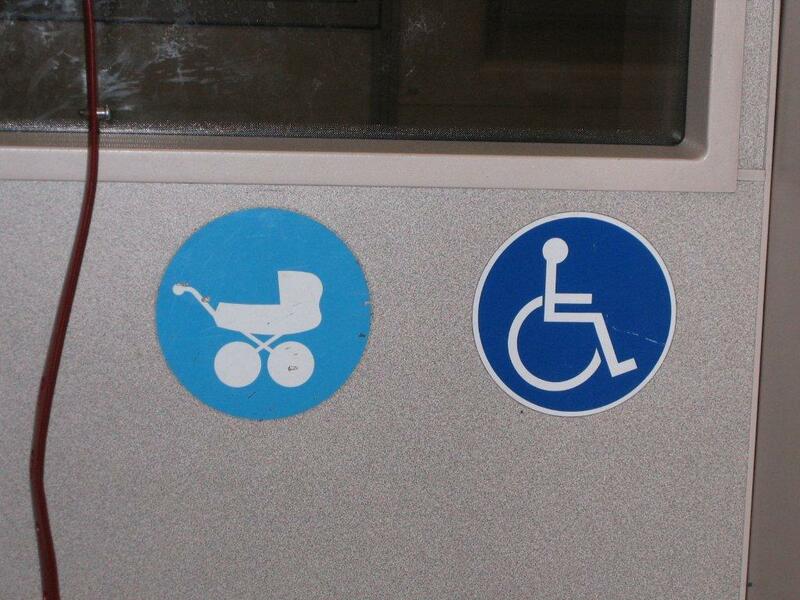 A pregnancy is not an illness, and a disability is not a personal impairment. 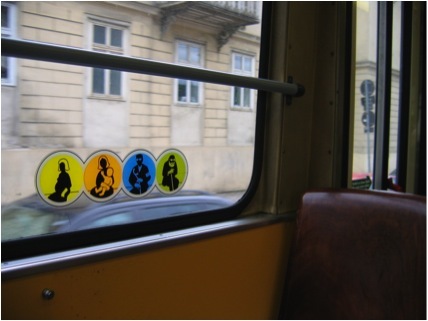 Since the 1960s articulation of the social model of disability, advocates have understood the limited built environment and social exclusion as the operating disabling forces on otherwise “normal” citizens. It’s physical structures and cultural practices that are inflexible. 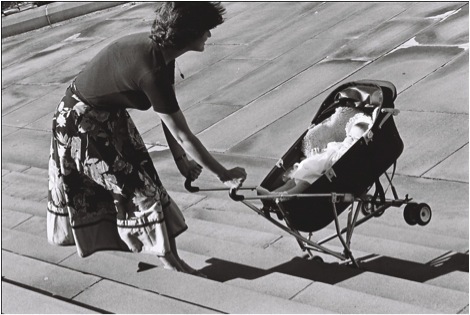 If we understand pregnant women, caregivers with strollers and gear, atypical bodies, and adaptive technology use as normal variation in human experience, both groups of advocates can ask—together—for cities that make life possible for everyone. photo credits: 1. Photo of Helen Grace taken by Photographer Sandy Edwards in 1982. Reproduced with permission in Feminist Technology. 2. From Just Bathroom Signs. 3. (London) and 4. (Vienna) by Linda Layne. Excellent post ““ let’s all get out of our silos and find ways to collaborate! Making restrooms accessible ALSO means not glaring at people and calling them “sir” if you perceive them to have chosen the wrong room. but it means these things ALSO, not INSTEAD OF making sure people can fit into bathrooms and use them appropriately, and get the help and support they need in doing so.